Professor Tracy was recently fired by his University for his writings on The Sandy Hook massacre, which question the official narrative. Professor Tracy is a frequent contributor to Global Research. His articles are incisive and carefully documented. Global Research expresses its support for Professor James Tracy. We bring to the attention of our readers Professor Tracy’s carefully documented Timeline of the Sandy Hook Massacre published by GR exactly three years ago on January 7, 2013. The following timeline of the December 14 mass killing of 20 children and 8 adults in Newtown Connecticut attempts to demonstrate how the event was presented to the public by corporate news media. The chronological assemblage of coverage is not comprehensive of all reports published on the incident but rather seeks to verify how the storyline was to a substantial degree constructed by federal and to a lesser degree state law enforcement authorities and major media around the theory (prior to a complete and exhaustive police investigation) that 20-year-old Adam Lanza was the sole agent in the massacre. From the outset, this scenario became an established reality through the news media’s pronounced repetition of the « lone gunman » narrative and meme. This proposed scenario significantly obscured the fact that police encountered and apprehended two additional shooting suspects on the school’s grounds within minutes of the crime. These suspects remain unaccounted for by authorities but the roles they may have played arguably correlate with the shifting information presented by authorities and major news media on injuries and weapons vis-à-vis the mass carnage meted out in the school. While the detainment of additional suspects was pointed to by alternative news media, in the days following the tragedy, the lone gunman narrative has become firmly established in the public psyche via an overwhelming chorus of corporate media reports and interpretations. Note: Times of occurrences referenced are Eastern Standard Time and in some instances signify time of publication rather than the specific incident cited. Time of publication does not always correlate with exact time of incident. “n.t.” denotes “no time” of publication referenced. At the start of the 2012-13 academic year Sandy Hook Elementary School Principal Dawn Hochsprung announces in a public letter to families the Newtown School District’s new security system installed “in all elementary schools.” Under the newly-announced security regimen, “exterior doors will be locked during the day. Every visitor will be required to ring the doorbell at the front entrance and the office staff will use a visual monitoring system to allow entry. Visitors will still be required to report directly to the office and sign in. If our office staff does not recognize you, you will be required to show identification with a picture id. Please understand that with nearly 700 students and over 1,000 parents representing 500 SHS families, most parents will be asked to show identification. 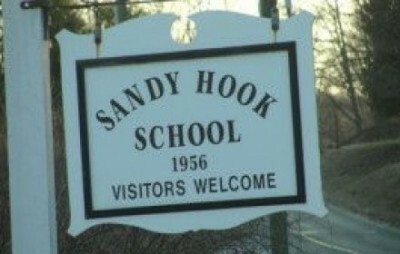 Doors will be locked at approximately 9:30 a.m.” “Principal Outlined New Security Procedures at Sandy Hook Elementary,” Hartford Courant, December 14, 2012, 8:25PM EST. Sandy Hook Principal Dawn Hochsprung Tweets photo of emergency drill held at Sandy Hook fire station with Sandy Hook Elementary faculty and students participating. Esther Zuckerman, “The Sandy Hook Principal’s Twitter Feed is Haunting,” The Atlantic Wire, December 14, 2012. Following Obama’s reelection Senator Diane Feinstein is believed to be meeting with relevant federal agencies to lay groundwork for reenacting assault weapons ban. “Senator Diane Feinstein Moves to Ban All Assault Rifles, High Capacity Magazines, and Pistol Grips,” Market Daily News, November 7, 2012. 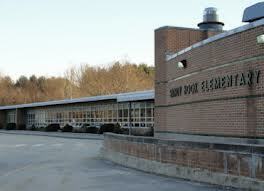 Hartford Courant publishes online Google map of Sandy Hook Elementary School. “Map of Sandy Hook Elementary School,” Hartford Courant, December 14, 2012. Connecticut State Police report assisting Newtown police in a shooting at Sandy Hook Elementary School in Newtown, Connecticut. “The Hartford Courant [<-hyperlink is to a different story] reports there are multiple injures [sic] and unconfirmed reports that one of the shooters is dead while the other is still at large. The school superintendent’s office says the district has locked down schools to ensure the safety of students and staff. Crimeside Staff, “Connecticut School Shooting: Police Investigating Reports of a Shooting at Elementary School,” CBS News, December 14, 2012. Connecticut School Shooting: Police Investigating Reports of a Shooting at Elementary School,” CBS News, December 14, 2012, 1047AM EST. A Newtown Volunteer Ambulance Corps dispatcher says a Sandy Hook Elementary School teacher was taken to hospital after being shot in the foot. “There are reports of multiple injuries,” CBS notes. The Newton Bee reports a student with apparently serious wounds was carried out of the facility by a police officer. The school superintendent’s office says all schools in the district remain in lockdown. Crimesider Staff, “Connecticut School Shooting Update: One Gunman Dead, One Teacher Injured at Elementary School,” CBS News, December 14, 2012. Police say the shooter is dead and two weapons were recovered from him. “The source says one weapon recovered is a Glock and the other is a Sig Sauer.” Children and Adults Gunned Down in School Massacre,” CNN, December 14, 2012. Hartford Courant mysteriously publishes online Googlemap of neighborhood of Lanza residence, which is 36 Yogananda St. “Map of 46 Yogananda St. Sandy Hook, CT,” Hartford Courant, December 14, 2012. Anonymous witness and parent of student says that while attending a meeting with faculty regarding her child she heard « at least 100 rounds » being fired when the shooting began about 9:30 to 9:35AM. “There was a ‘pop pop pop’ in the hall outside the room. Three people went out of the room into the hall where the sounds had come from. ‘Only one person came back.’” The same witness says “she then called 911. She said she never saw the shooter but she later was escorted outside the room past two bodies lying in blood.” “Children and Adults Gunned Down in School Massacre,” CNN, December 14, 2012. An anonymous federal law enforcement source informs news media the death toll is closer to 30 than 20, with most of those killed being children. The source, who says he is in contact with authorities on the scene, says the suspected gunman had a connection to the school but would not elaborate. Children and Adults Gunned Down in School Massacre,” CNN, December 14, 2012. CNN is “told that 18 to 20 of the dead are children.” Children and Adults Gunned Down in School Massacre,” CNN, December 14, 2012. An anonymous law enforcement official tells CNN that the suspect’s name is Ryan Lanza and he is in his 20s. Children and Adults Gunned Down in School Massacre,” CNN, December 14, 2012. Anonymous federal law enforcement authorities say “the shooting happened quickly and happened in a concentrated area.” Children and Adults Gunned Down in School Massacre,” CNN, December 14, 2012. Father of Sandy Hook Elementary School third grade student Stephen Delgiudice describes to CBS News what his daughter heard over the loudspeaker from the principal’s office. This prompted the teacher to lock the classroom door. “We have a pretty good program in Newtown,” Delgiudice says. “where basically a code red reverse 911 type of a call, and a, came through. [It said] there’s a shooting at the school and naturally I obeyed the speed limit and drove immediately to the school. And ah, y’know it was just mass-mass chaos. I finally got to my daughter—a friend of mine led me to my daughter. I wanted to see her face and hold her, which I did, and once I did that there was a sense of relief, but, uhm, it was just chaos.” Crimesider Staff, “Connecticut School Shooting: Father Says Student Heard Commotion Over Loudspeaker,” CBS News, December 14, 2012. President Obama addresses nation. « As a country, we have been through this too many times. Whether it’s an elementary school in Newtown, or a shopping mall in Oregon, or a temple in Wisconsin, or a movie theater in Aurora, or a street corner in Chicago – these neighborhoods are our neighborhoods, and these children are our children. And we’re going to have to come together and take meaningful action to prevent more tragedies like this, regardless of the politics.” Children and Adults Gunned Down in School Massacre,” CNN, December 14, 2012. A federal law enforcement official informs CNN that “shooter arrived and headed directly toward and to his mother’s classroom. That and the other information now emerging – another family member killed, police interviews – lead them to believe his mother was the primary target. But they note he also came armed with clear intention of mass killing.” Children and Adults Gunned Down in School Massacre,” CNN, December 14, 2012. There were a total of 27 people dead at the school, Lt. Paul Vance of the Connecticut State Police tells assembled reporters. “Eighteen students were pronounced dead at the scene, and two others died at the hospital.” In addition, six adults were pronounced dead at the scene. Children and Adults Gunned Down in School Massacre,” CNN, December 14, 2012. CNN now reports “three guns found at the scene … the third weapon found on the scene was a .223 Bushmaster. The other weapons, previously reported, are a Glock, and a Sig-Sauer. No word on the models of Glock or Sig-Sauer.” Children and Adults Gunned Down in School Massacre,” CNN, December 14, 2012. Witnesses attest to seeing bloodied children, hearing as many as 100 shots, and “loud booms.” « It was horrendous, » parent Brenda Lebinski said, who rushed to the school where her daughter is a third grade student. « Everyone was in hysterics – parents, students. There were kids coming out of the school bloodied. I don’t know if they were shot, but they were bloodied. » Lebinski said another parent in the school “during the shooting told her a ‘masked man’ entered the principal’s office and may have shot the principal. Lebinski, who is friends with the mother who was at the school, said the principal was « ’severely injured.’ » Lebinski’s daughter’s teacher « immediately locked the door to the classroom and put all the kids in the corner of the room. » Nearby resident Melissa Murphy listened to events unfold on a police scanner. « ’I kept hearing them call for the mass casualty kit and scream, “Send everybody! Send everybody! » Murphy said. ‘It doesn’t seem like it can be really happening. I feel like I’m in shock.’” A girl interviewed by an NBC Connecticut affiliate said she heard seven loud « booms » while in gym class. « A police officer came in and told us to run outside and so we did, » the unidentified girl said on camera. Dan Burns and Chris Kaufman, “Connecticut Gun Rampage: 28 Dead, Including 20 Children,” Reuters, December 14, 2012. New York City Mayor Michael Bloomberg calls for greater gun control measures. « We need immediate action. We have heard all the rhetoric before. What we have not seen is leadership – not from the White House and not from Congress, » Bloomberg said. « That must end today. » Dan Burns and Chris Kaufman, “Connecticut Gun Rampage: 28 Dead, Including 20 Children,” Reuters, December 14, 2012. US officials representing three different lettered agencies separately identify the suspected shooter as Adam Lanza, in contrast to what investigators said earlier in the day. No explanation is given regarding what prompted confusion among investigators. Lanza’s older brother, Ryan, was taken into custody for general questioning in Hoboken, New Jersey but was not labeled a suspect. “Children and Adults Gunned Down in School Massacre,” CNN, December 14, 2012. Police recover long gun from automobile in Sandy Hook parking lot. “Police Find Long Gun in Trunk of Car in Sandy Hook Parking Lot, Newtown Connecticut,” NBC News, December 14, 2012. CBS correspondent notes how police have a second shooting suspect in custody who they are interrogating. “Well, they have an individual in custody, who they’re talking to. I am told they’re looking into the person as possibly a second shooter. Now that changes the dynamics here a little bit which goes from—if in fact this turns out to be confirmed—it goes from a lone gunman scenario where somebody has this argument with society and wants to take revenge with the most defenseless people in society to a team of individuals who’ve gotten together and conspired to do something like this.” “School Shooting: Possible Second Gunman in Custody,” CBS News Online, December 14, 2012. The Associated Press interviews an unidentified Sandy Hook Elementary student who describes seeing a shooting suspect prone on the ground in the school’s parking lot. Unidentified student: “And then the police like were knocking on the door, and they’re like, ‘We’re evacuating people! We’re evacuating people!’ So we ran out. There’s police about at every door. They’re leading us, ‘Down this way. Down this way. Quick! Quick! Come on!’ Then we ran down to the firehouse. There’s a man pinned down to the ground with handcuffs on. And we thought that was the victim [sic]. We really didn’t get a good glance at him because there was a car blocking it. Plus we were running really quick.” “Raw: Student Describes Scene at School Shooting,” Associated Press, December 14, 2012. State Police Lt. J. Paul Advance on ABC’s Good Morning America with George Stephanopoulos. Vance: This is something that’s going to take a significant amount of time. From the onset we’ve had teams looking into the background of [Adam Lanza], peeling back the layers of the onion, so to speak. We have many, many questions that we need to ask—that we need to explore. Stephanopoulos: Three guns found on site? Vance: We haven’t discussed that as of yet, but, uh, in excess of three guns. Stephanopoulos: Do you know if they were obtained legally? Vance: Again, that’s something we would also have to explore during the investigation. ABC News, “Tragedy at Sandy Hook Elementary School,” Good Morning America, December 15, 2012. Sandy Hook resident Gene Rosen comes forth with story that he encountered six first grade children from Sandy Hook Elementary in his front lawn while feeding his cats. “I thought they were practicing for a play or Cub Scouts, and I went and approached them and it became clear that they were so distressed,” Rosen told CBS News. “And I took them into my house, and they were crying and talking, and I got them into my house, and they were crying and talking [sic], and I got them some stuffed animals.” “Neighbor Found Terrified Children on Front Lawn after School Massacre,” CBS New York, December 15, 2012. MSNBC: “Connecticut Chief Medical Examiner H. Wayne Carver provides an update to the media after he and his team examined the victims’ bodies at Sandy Hook Elementary School in Newtown following Friday’s shootings.” In this exchange Carver and State Police drastically change the story on what weapons were used in the shooting, contending that the Bushmaster 223 was the sole weapon Lanza wielded. Carver exhibits an amazing degree of deferral to law enforcement and overall lack of knowledge about the postmortem operation he has just presided over. For example, a reporter asks, “Were [the students] sitting at their desks or were they running away when this happened?” Carver responds, “I’ll let the guys who—the scene guys talk—address that issue. I, uh, obviously I was at the scene. Obviously I’m very experienced in that. But there are people who are, uh, the number one professionals in that. I’ll let them—let that [voice trails off].” Shortly thereafter another reporter asks, “How many boys and how many girls [were killed]?” Carver shakes his head slowly, “I don’t know.” “Medical Examiner: Rifle Primary Weapon Used in Shootings,” MSNBC, December 15, 2012. List of Sandy Hook Elementary victims is released. “Police Release Names of Newtown School Shooting Victims,” Hartford Courant, December 15, 2012,. Federal authorities confirm there is no record of Adam Lanza using local Newtown shooting range. Michael Isikoff and Hannah Rappleye, “Mom of Suspected Shooter-First to Die—Was Avid Gun Enthusiast, Friend Says,” NBC News, December 15, 2012. Federal officials claim Lanza took three weapons to Sandy Hook Elementary, a Glock and Sig Sauer, and a Bushmaster .223-caliber semiautomatic assault-style rifle. Authorities remain unclear on whether all guns were used in the attack. Michael Isikoff and Hannah Rappleye, “Mom of Suspected Shooter-First to Die—Was Avid Gun Enthusiast, Friend Says,” NBC News, December 15, 2012. “An official with knowledge of the investigation” informs the Associated Press that three weapons were found inside Sandy Hook Elementary on or near Adam Lanza’s body—a Bushmaster .223-caliber rifle, a Glock 10mm pistol, and a Sig Sauer 9mm pistol. “Three other guns have also been recovered, but it was not clear where they were found, the official told AP. They were a Henry repeating rifle, an Enfield rifle and a shotgun.” Matt Appuzo and Pete Yost, “Connecticut Shooter Adam Lanza’s Guns Were Registered to Mother Nancy Lanza: Official,” Associated Press/Huffington Post, December 15, 2012. Adam Lanza’s aunt Marsha Lanza describes Nancy Lanza as “meticulous” and “self-reliant,” pointing out that she kept three guns in the home “for self-defense.” « She would never leave the guns out, » Marsha Lanza asserts. Josh Kovner and Edmund H. Mahoney, “Adam Lanza: A ‘Quiet, Odd’ Loner Living on the Fringes,” Hartford Courant, December 15, 2012. Law enforcement officials state the murder weapon was one of three guns owned by Nancy Lanza: a semiautomatic rifle or two semiautomatic pistols. Josh Kovner and Edmund H. Mahoney, “Adam Lanza: A ‘Quiet, Odd’ Loner Living on the Fringes,” Hartford Courant, December 15, 2012. Investigators believe Adam Lanza’s behavior was consistent with Asperger’s syndrome, a disorder within “the autism spectrum … marked by difficulty with social interaction. Many with Asperger’s are otherwise high-functioning people. There is no pre-disposition toward violence, experts said.” Josh Kovner and Edmund H. Mahoney, “Adam Lanza: A ‘Quiet, Odd’ Loner Living on the Fringes,” Hartford Courant, December 15, 2012. Law enforcement authorities provide press with detailed information on event which becomes bedrock “official” storyline that Adam Lanza murdered 20 children and 6 adults at Sandy Hook Elementary School. After shooting his mother twice in the head while she lie in bed Lanza proceeded to Sandy Hook Elementary where he “fired a half-dozen thunderous rounds from a semiautomatic rifle to open a hole big enough to step through in one of the school’s glass doors.” He entered the school and shot Principal Hochsprung and school psychologist Mary Scherlach who after hearing the “sounds of gunfire and shattering glass, bolted into a corridor from a conference room across the hall from the classrooms … The first classroom Lanza reached was teacher Kaitlin Roig’s. Alarmed by the gunfire, Roig hid her students in a bathroom and closed her classroom door. Lanza passed by Roig’s classroom in lieu of substitute teacher Lauren Rousseau’s, shooting all 14 children who investigators believe were huddled and clutching one another in fear, in addition to Rousseau and a special education teacher who happened to be in the room. Lanza next arrived at teacher Victoria Soto’s classroom, who is believed to have hidden her 6- and 7-year old students in a closet. When Lanza demanded to know where the children were, Soto tried to divert him to the other end of the school by saying that her students were in the auditorium. As six of Soto’s students attempted to flee Lanza shot them, Soto and another teacher in the room. Searching for survivors police found the remaining seven of Soto’s students still hiding in the closet. They told the police what had happened. The two teacher’s aides who were killed were Mary Anne Murphy and Rachel Davino. It was unclear which aide was in which room when they were killed. The first officer arriving at the school found Lanza’s body near the door of Soto’s classroom. The intense violence lasted about 10 minutes. Lanza fired at least three, 30-round magazines with deadly accuracy. Two of the people he shot survived. All of the victims were shot multiple times. ‘I did seven (autopsies) myself with three to 11 wounds apiece,’ Chief State Medical Examiner Dr. H. Wayne Carver III said Saturday. ‘Only two were shot at close range. I believe everybody was hit (by bullets) more than once.’ » Edward H. Mahoney and Dave Altimari, “A Methodical Massacre, Horror and Heroics,” Hartford Courant, December 15, 2012. « We too are asking why. We have cooperated fully with law enforcement and will continue to do so. Like so many of you, we are saddened, but struggling to make sense of what has transpired.”—Adam Lanza’s father Peter Lanza said in a statement. Jonathan Dienst, “Conn. Shooting Suspect Adam Lanza’s Father: ‘We Too Are Asking Why,’” NBC News, December 16, 2012. Connecticut State Police Lt. Paul Vance states Adam Lanza possessed “an extraordinary amount of weaponry … In addition to an assault-style rifle and at least two handguns, he also had a shotgun in reserve in the car he drove to the school.” Lance claims that when Lanza’s body was found he “still had ‘hundreds of rounds’ of ammunition in multiple magazines, after having already fired hundreds of rounds inside the school.” M. Alex Johnson, “Very Heavily Armed Gunman Shot Mother Multiple Times Before Killing 26 at Connecticut School, Police Say,” NBC News, December 16, 2012. Details emerge on Adam Lanza enrolling at Western Connecticut State University in 2008 at age 16. Lanza successfully completed six courses “including website production, data modeling, Philosophy 101 and ethical theory — and compiled a solid 3.26 grade-point average.” University officials claim Lanza presented no disciplinary concerns. M. Alex Johnson, “Very Heavily Armed Gunman Shot Mother Multiple Times Before Killing 26 at Connecticut School, Police Say,” NBC News, December 16, 2012. President Obama travels to Newtown to address grieving community and repeatedly allude to gun control legislation in an 18 minute speech. « We’re not doing enough. And we will have to change. Since I’ve been president, this is the fourth time we have come together to comfort a grieving community torn apart by mass shootings, [the] fourth time we’ve hugged survivors, the fourth time we’ve consoled the families of victims … Are we really prepared to say that we’re powerless in the face of such carnage, that the politics are too hard? Are we prepared to say that such violence visited on our children year after year after year is somehow the price of our freedom? » Daniela Altimari, “We Must Change, President Tells Nation,” Hartford Courant, December 16, 2012, 11:16PM EST. Alex Israel was in the same class at Newtown High School with Adam Lanza, who lived a few houses down from her. « You could definitely tell he was a genius, » Israel says. « He was really quiet, he kept to himself. » Lanza’s former bus driver regarded Lanza as « ’a nice kid, very polite’ like his brother.” Another former classmate remarked that Lanza « was just a kid » — not a troublemaker, not antisocial, not suggesting in any way that he could erupt like this.” Michael Martinez and David Ariosto, “Adam Lanza’s Family: Mom Liked Parlor Games, Guns; Dad, a Tax Exec, Remarried,” CNN.com, December 16, 2012. Connecticut State Police Lieutenant J. Paul Vance tells the Huffington Post that Adam Lanza specifically used the Bushmaster .223 rifle to carry out all of the Sandy Hook murders. “Adam Lanza used a semiautomatic Bushmaster .223 rifle during his rampage through Sandy Hook Elementary School on Friday,” the Huffington Post reports, “firing dozens of high-velocity rounds as he killed 20 children and six adults … Lanza, 20, carried ‘many high-capacity clips’ for the lightweight military-style rifle, Lt. Paul Vance, a spokesman for the Connecticut State Police, told The Huffington Post in an email. Two handguns and a shotgun were also recovered at the scene. John Rudolf and Janet Ross, “School Shooter Adam Lanza Used Military-Style Bushmaster Rifle,” Huffington Post, December 16, 2012. Senator Dianne Feinstein announces that she intends to introduce legislation reauthorizing a federal assault weapons ban originally passed in the early 1990s during the Clinton administration that was allowed to lapse in 2004. John Rudolf and Janet Ross, “School Shooter Adam Lanza Used Military-Style Bushmaster Rifle,” Huffington Post, December 16, 2012. Health science and investigative writer Mike Adams observes that much like the Tucson Arizona, Aurora Colorado, and Wisconsin Sikh temple shootings, mass media are scrubbing their coverage and doctoring the storyline to obscure the fact that there were additional suspects and probable shooters at the crime scene. Mike Adams, “Newtown School Shooting Already Being Changed by the Media to Eliminate Eyewitness Reports of a Second Shooter,” Natural News, December 16, 2012, n.t. Divorce records reveal the parents of Adam Lanza had joint custody of their son and that Lanza’s father paid yearly alimony totaling $240,000 in 2010, $265,000 in 2011 and $289,800 in 2012. Nancy and Peter Lanza’s divorce cited irreconcilable and was made final in September 2009. The divorce decree designated Adam Lanza’s primary residence with his mother in the Yogananda Street address which Peter Lanza quitclaimed to Nancy. Peter was designated as solely responsible for the cost of college for Adam and brother Ryan and for buying Adam a car. Nancy Lanza seldom discussed domestic affairs with friends. She was otherwise regarded as very open and generous. Allaine Griffith, “After Divorce, Lanzas Had Joint Custody of Adam,” Hartford Courant, December 17, 2012. A spokeswoman for the Bureau of Alcohol, Tobacco, Firearms and Explosives is uncertain whether Nancy Lanza brought her son to the range or whether he ever fired a weapon there. Allaine Griffith, “After Divorce, Lanzas Had Joint Custody of Adam,” Hartford Courant, December 17, 2012. Sandy Hook Elementary nurse Sally Cox tells ABC of her encounter with gunman on the morning of December 14 as she crouched underneath her desk. “I could see him from the knees down, 20 feet away, his boots were facing my desk,” Cox said in an interview on Good Morning America. “It was seconds… and then he turned and walked out and I heard the door close.” The 60-year-old staff member then heard “loud popping noises” outside the infirmary. Cox was joined by a school secretary and together they dialed 911 before hiding in a supply closet. Lauren Effron, “Sandy Hook School Nurse Hid From Shooter, ‘His Boots Were Facing My Desk,’” ABC News, December 17, 2012. Funerals for massacre victims begin in Newtown, with first being for 6 year old Sandy Hook first-grader Jack Pinto. “There are many ways to measure what was lost Friday morning at Sandy Hook,” the Washington Post observes, “a school shooting that has spurred a national debate about public safety and a speech by the president. But no accounting of the damage was as searing as the one that began Monday, when parents stepped behind lecterns and spoke about the children they would miss.” Eli Saslow and Steve Vogel, “Funerals for Newtown Massacre Victims Begin,” Washington Post, December 17, 2012. Two witnesses in Sandy Hook school shooting are unidentified adults. “There are two adults that were injured in the facility—in the school—and suffered gunshot wounds and are recovering,” Connecticut State Police Lieutenant J. Paul Vance stated. “Our investigators will in fact speak with them when it’s medically appropriate, and certainly they will shed a great deal of light on the facts and circumstances of this tragic investigation that we’re undertaking.” [Vance’s emphasis] “Key Witnesses in Connecticut School Shooting are Survivors,” Hartford Courant, December 17, 2012. New York City Mayor Michael Bloomberg unveils “Demand a Plan” campaign, sponsored by the Mayors Against Illegal Guns bipartisan coalition that requests Congress and President Obama move immediately on gun control measures. Bloomberg calls Washington’s inability to act a “stain on our nation’s commitment to protect our children.” Carlo Delaverson, “NYC Mayor Launches Campaign Against Gun Violence,” NBC News, December 17, 2012. Infowars reporter Rob Dew utilizes overlooked excerpts from CBS and Associated Press coverage of the massacre to explain how there were additional shooter suspects apprehended by law enforcement on the morning of December 14 that have been left unaccounted for and since dropped from public view. Rob Dew, “Sandy Hook 2nd Shooter Coverup,” Infowars Nightly News, December 18, 2012. Connecticut Medical Examiner H. Wayne Carver II says he will work with a University of Connecticut geneticist to determine what prompted Adam Lanza to act. « I’m exploring with the department of genetics what might be possible, if anything is possible [sic], » Carver says. « Is there any identifiable disease associated with this behavior? » David Owens, “Obama Calls for New Proposals for Gun Control in Wake of Newtown Massacre,” Hartford Courant, December 19, 2012. Hundreds attend wake of Sandy Hook Principal Dawn Hochsprung, including U.S. Secretary of Education Arne Duncan, US Senator Richard Blumenthal and US Senator-elect Chris Murphy. Matthew Kauffman, “Communities Say Farewell to Four More Victims of Newtown Shootings,” Hartford Courant, December 19, 2012. US Attorney General Eric Holder makes unannounced visit to Newtown to meet with Sandy Hook first responders following a meeting in Washington with Vice President Joe Biden, presumably to discuss forthcoming gun control legislation. “Holder to Meet with First Responders in Newtown,” Frederic J. Frommer, Associated Press/Hartford Courant, December 20, 2012. Further analysis by alternative news media points to additional Sandy Hook shooting suspects overlooked by corporate media. Niall Bradley, “Sandy Hook Massacre: Official Story Spins Out of Control,” Veterans Today, December 20, 2012; James F. Tracy, “The Newtown School Tragedy: More Than One Gunman?” Global Research, December 20, 2012. Witness to shooting Becky Virgalla interviewed by Connecticut news media. [Video of interview at Hartford Courant website has since been taken down.] “Witness to the Sandy Hook Massacre,” Hartford Courant, December 26, 2012. Attorney Irv Pinsky asks State of Connecticut Claims Commissioner J. Paul Vance Jr. for permission to file $100 million dollar lawsuit on behalf of unnamed 6-year-old Sandy Hook student for negligence and trauma suffered after hearing screaming, cursing, and gunfire over school’s intercom system. As a result, the “child has sustained emotional and psychological trauma and injury, the nature and extent of which are yet to be determined, » the proposed claim asserts. Pinsky’s claim also alleges “that the state Board of Education, Department of Education and Education Commissioner had failed to take appropriate steps to protect children from ‘foreseeable harm.’ » Mary Ellen Godin, “Claim Seeks $100 Million for Child Survivor of Connecticut School Shooting,” Reuters, December 28, 2012. Adam Lanza’s body reportedly turned over by Connecticut Medical Examiner to father Peter Lanza “sometime last week.” “Father Claims Adam Lanza’s Body,” Hartford Courant, December 31, 2012, 3:38PM. Connecticut Attorney General says $100 million claim against state on behalf of 6 year old Sandy Hook student is “misguided,” and maintains that “a public policy response by the U.S. Congress and the Connecticut state legislature would be ‘more appropriate’ than legal action.” Edith Honan, “Connecticut Attorney General Says Newtown Legal Claim Misguided,” Reuters/Hartford Courant, December 31, 2012. State Attorney General George Jepsen says lawsuit brought against state lacks a “valid basis.” According to a report Jepsen said “the claims commissioner’s office was not the appropriate venue for a discussion about the shooting.” Amanda Falcone, Request to Sue State for Newtown Shooting Has No Basis, Attorney General Says,” Hartford Courant, January 1, 2013. New Haven attorney Irving Pinsky withdraws claim on behalf of traumatized Sandy Hook student after receiving new evidence. « If the state were liable in this instance, where would the state’s liability ever end? » State Attorney General George Jepsen said. Brian Dowling and Hilda Munoz, “Attorney Withdrawing Request to Sue State in Sandy Hook Shootings,” Hartford Courant, January 1, 2013. Jean Henry, a processing technician for the Connecticut Office of the Chief Medical Examiner is placed on a paid leave pending an investigation of an incident on December 16 where she permitted her husband, an unauthorized employee, to view the body of alleged mass killer Adam Lanza. Jon Lender and Dave Altimari, “State Worker Placed on Leave After Showing Husband Adam Lanza’s Body,” Hartford Courant, January 2, 2013. Sandy Hook students return to classes 7 miles south of Newtown at Chalk Hill School in Monroe Connecticut. The school was closed about two years ago and recently cleaned and painted to accommodate students. Amanda Falcone, “Sandy Hook Students Back in Class,” Hartford Courant, 5:18PM EST, January 3, 2013. Connecticut State Attorney’s Office and State Police refuse to give timeline for Sandy Hook shooting investigation. « It cannot be stated too often how invaluable and necessary the work of the United States Attorney’s Office, the Federal Bureau of Investigation, the United States Marshals Service, the Bureau of Alcohol, Tobacco, Firearms and Explosives and other federal agencies was and is to this investigation, » State Attorney General Stephen J. Sedensky III said. Christine Dempsey, “No Timeline for Newtown Shooting Probe,” Hartford Courant, January 3, 2013. New York City Mayor Michael Bloomberg meets privately in his office with former Arizona Congresswoman Gabrielle Giffords, who was almost fatally shot at a constituent meeting in Tucson in January 2011. The sit-down was not listed on Bloomberg’s public schedule and a Bloomberg aide refused to state what was discussed. Holly Bailey, “Bloomberg Meets with Gabrielle Giffords on Gun Control,” Yahoo News, January 3, 2013, n.t. Former Arizona Congresswoman Gabrielle Giffords visits Newtown families who lost loved ones in the Sandy Hook shooting. John Christoffersen, “Wounded ex-Rep Giffords Meets with Conn. Families,” Associated Press/Yahoo News, January 5.